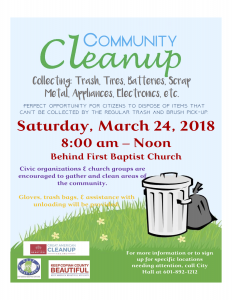 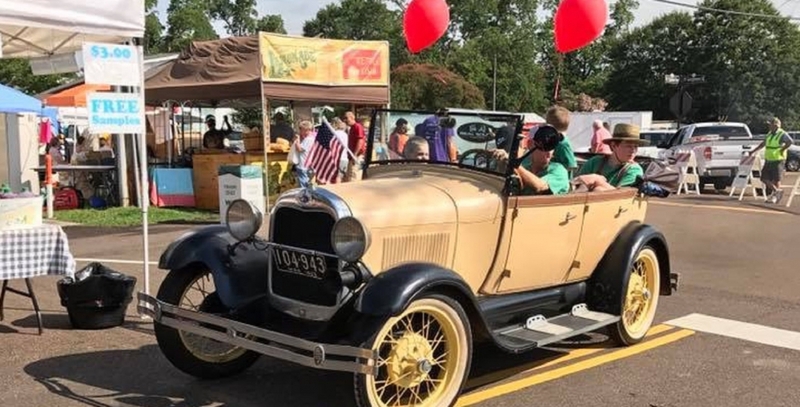 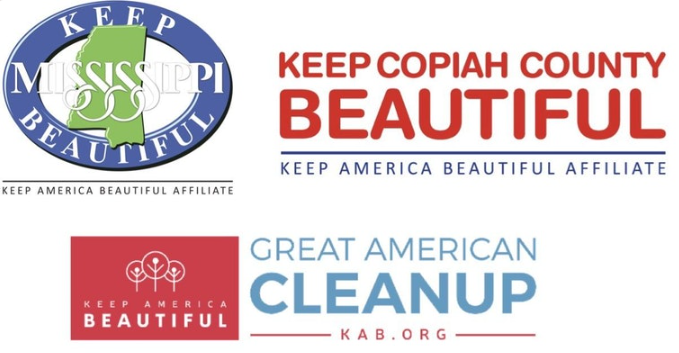 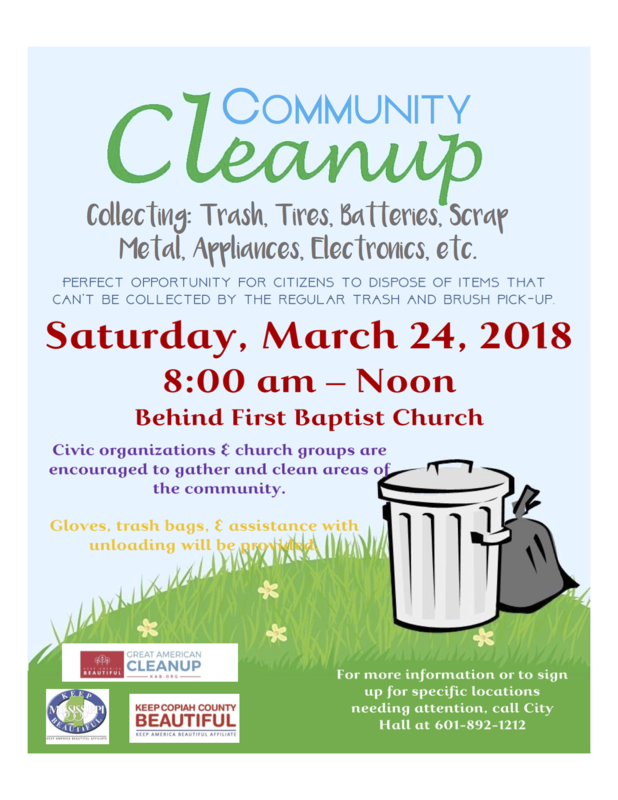 Great American Cleanup sponsored by Keep America Beautiful, Keep Mississippi Beautiful, Keep Copiah County Beautiful, and the City of Crystal Springs. 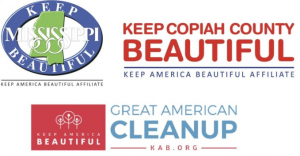 The Keep America Beautiful Great American Cleanup is the nation’s largest community improvement program, engaging more than 4 million volunteers and participants every year to create positive change and lasting impact in local communities. 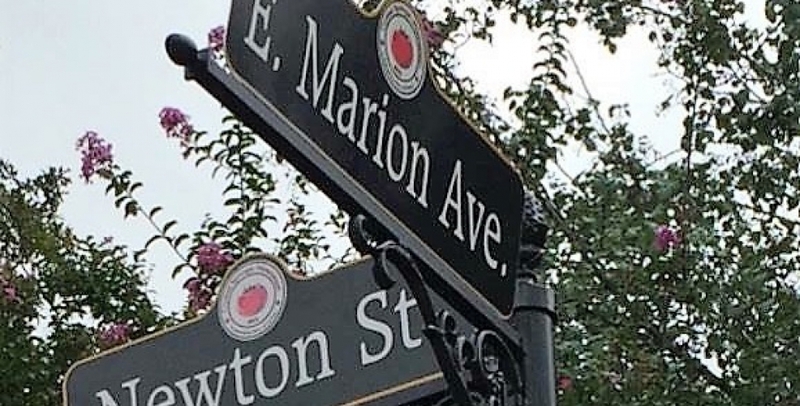 Improve the walking trail for more recreation and physical fitness.